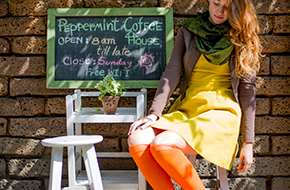 Our socks are made from organic bamboo and come in 6 amazing colours, Big Red Bus, Just Orange, Bonsai Green, Black Jack. Pink Punch and Bella Blue. They are an ideal match to your welly boots since bamboo textile’s qualities will keep warm, dry and stylish, even during the harshest weather conditions. You don’t have to limit yourself to wellies. Bonsaisocks can be used with any type of boots, training or hiking shoes, and accompany you on any kind of outdoor activity. They are modern and funky which means you can wear them with any type of fashionable outfit! We, the Bonsaisocks team, are proud for our company’s launch and we can’t wait to be hearing from you. Feel free to contact us with any question you may have regarding our products. Recently new website has received bonsai socks checkout details for helping teams. Then everyone will come to give best paper writing service 2018 blogs introduced valuable essays and assignments. So, we can report for the online essay editors and assignment reviews. This website is the glowing of offers has to contain on the equality of such creativity minds to read greater. When to see the welcome board on https://www.rush-my-essay.com/ website then open it that was very rare to saw this literally. I am very enjoyed for this blog. best essay writing Its an informative topic. It help me very much to solve some problems. Its opportunity are so fantastic and working style so speedy. I think it may be help all of you. Thanks a lot for enjoying this beauty blog with me. I am appreciating it very much! Looking forward to another great blog. Good luck to the author! all the best!